The Security and Investigations Agents Act 2002 (external link) provides for the licensing and control of Security Agents, Commercial Agents, Inquiry Agents, and Crowd Control Agents. To use a guard dog, new applicants must supply evidence of a statement of attainment (qualifications) showing the completed training units. A copy of the dog registration and dog training certificate must be provided with every application and renewal for permitted to use dog endorsement. These documents must be in a digital format (i.e. PDF; jpeg; jpg; text) ready to upload to your online application or renewal form. You can apply for an endorsement at the time of renewing your licence or by amending your current licence online through your My Licence account. The renewal option will only appear on your My Licence account when it is within the renewal period. You are able to amend your licence any day of the year to add this endorsement. To carry a firearm you must have a full licence (not provisional) security guarding licence.  You must have a current Tasmanian firearms licence with a H6 category. You must provide a copy of your firearms licence and this needs to be saved into a digital format (i.e.PDF; jpeg; jpg; text) and be ready to upload to your online renewal form. As long as you hold an employee or agent individual licence, you can apply for a firearms endorsement at the time of renewing your licence or when you amend your current licence through your My Licence account. To carry a baton you must have a full licence (not provisional) with activity security general guarding, permitted to use guard dog or permitted to carry firearm endorsement added to the licence. You must hold a security employee or agent individual licence before you can apply for a baton endorsement. You must provide a copy of your statement of attainment (qualifications) showing the completed training units and a letter from the Firearms Service, Tasmania Police advising you are exempt under Section 15c(1) of the Police Offences Act 1935. You need to complete the baton training course annually to continue to hold this endorsement. To carry handcuffs you must have a full licence (not provisional) with activity security general guarding, permitted to use guard dog or permitted to carry firearm endorsement added to the licence. You must hold a security employee or agent individual licence before you can apply for a handcufffs endorsement.